I have worked on my slides for my final product. My slides are animated, and they look really cool. The slides took me FOREVER. One other thing that took a lot of time was my script. I kept having to change it, because the part where I say the plane dropped and took 1 minute, I had to get my facts straight. The proper fact was 3 minutes and 30 seconds. I also added some posters to my script, like in my final video. One poster was for Air France flight 447. What I did was I drew a picture of the plane falling. So the top part of the board was when the plane stared to fall. Another plane was below that one, representing the drop in the next minute. And then the bottom was the plane in the water with people flying through the air, the plane broken up. I also made 2 posters to represent the start of the crash I was going to describe. Overall, this project was really fun. Yesterday we presented our capstone projects. I was so scared because it was a room full of parents. But anyway, I did it. Even though I was scared, i did it. Here is my final product. I worked SOO hard on these slides and my script. This project was really fun. It took me a long time to complete this awesome presentation. I’d like to thank Mr. Casal, Ms. Boyer, and Bruce for helping me make my final product possible. So, now I am going to answer my main inquiry question, that conducted my research. So my answer starts here. Aviation has improved because of some of the worst aviation disasters. One was TWA flight 800. 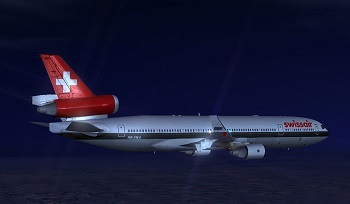 On July 17, 1996, TWA flight 800 was going to Rome with a stopover at Paris, carrying 230 passengers. About 12 minutes after takeoff, at 8:31 eastern time, the plane blew up, and shot down to the Atlantic ocean in many pieces. All of the people and crew on board, 230, died. But what was learned was that this should never happen again. Boeing, the plane-maker, developed stronger tanks and better fuel. Another disaster was United airlines flight 232. On July 1, 1989, UA 232’s engine fan disk imploded, shutting off all of the hydraulic lines. Then, the crew tried to land at Sioux City airport, but the plane failed to touch down properly and it blew up. I have 3 replies for capstone. One was an unprofessional pilot who loves flying. Another was a professor for an Aeronautics College. Then they answered the questions. Then I recieved word that the professor fowarded the questions to a friend of his, another pilot. I got a lot of info out of my THREE interviews. Some questions I got more than others. But all the information was very useful. I got a good chunk out about radio contact to answer one of m sub questions. I was going to interview an author who made the book, Air Disasters. Me and my mom are trying to track down this guy because the last TWO e-mail addresses did not work. So I need to have a plan B. Yesterday I had my site visit. I went to Garden City’s Cradle of Aviation museum in Long Island. The museum was not packed, so that made it easier to get somewhere. The first thing we went to was the airplane hangar, which had 3 fighter jets with missiles and the cockpit of a Boeing 707 from El Al airlines, which was the first ever flown. The next thing we went to was the Pan American Airlines exhibit, which was about their Boeing 314, which was a sea plane and carried 78 passengers and crew maximum. I watched 2 videos on how the 314’s were luxury, and how they were made for better passenger service to Asia. Then me and my grandma spotted a model of a Pan Am Boeing 747, which was very cool. Then we went to the galleries to see the modern planes today exhibit. I watched a video there on planes that crashed and how the US fixed them for World War 1&2. I also saw a model of a World War bomber. The most exciting thing I saw was the size comparison of all the planes ever made(in model form) and also saw an Airbus A-380 engine, from the largest passenger airliner in the world. Last, we listened to a talk by Charles Lindbergh’s daughter. Charles Lindbergh was a historic flier when he made the first flight across the ocean from Long Island to France. I also bought a book on Boeing, the number one plane maker of the world. IMMIGRATION VIDEO IS FINALLY HERE! : IMMIGRATION VIDEO RELEASE! Our immigration unit is over, and my group is releasing our video on Scarsdale Schools blogs. We had one major issue when we were filming: fighting. We had heated arguments all the time. But after Ms. Boyer suggested that we should not do voice overs, we said yes, and things became a lot easier after that. SO, PRESENTING, IMMIGRATION: SETTLING IN AMERICA! How have planes improved after a major disaster? What problems were faced by airlines? What problems affected people and their opinions of air travel? What airplane materials have changed? How have communications through radio improved on planes? Today my group is supposed to be doing everything to rap up our immigration project. When we got the Mac, it only had 13% left. So we decided to keep going. But in five minutes, Taj came to help us and couldn’t get the images on the green screen. Then a notice came up and said that the computer was at 4%. Oh Well! This was proably because the Mac wasn’t plugged in properly. Next time we will surely get our work done! So obviousely we had some problems with the computer. But that didn’t stop us! We kept going and the next day, we watched a tutorial video on how to put in the green screen and fixed it. We played around with the commands. It looked great! For my capstone project I am doing the question, ” How have aviation disasters affected Airplanes? ” Some disasters are the disaster of American Airlines flight 587 on November 11, 2001. A big Boeing 747 had just taken off before 587, and made the air choppy. 587’s tail fin ripped off and it plunged into Rockaway beach. Airplanes have changed in many ways , from the horrible DC-10s to the old airplanes that crashed.